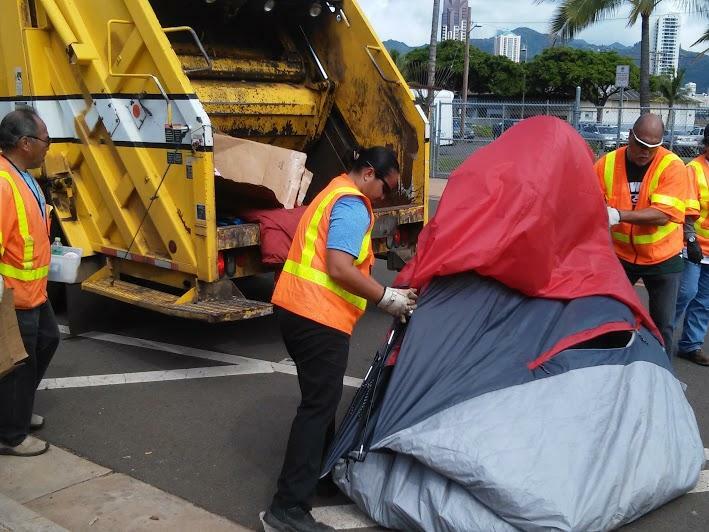 Most of the homeless living in the Kakaako neighborhood are families. 3-year-old Talia Martin helps her family pack up their belongings in the spot they've lived on Ohe St. for more than a year. "No Parking" signs were placed after the city sweep, for "Hawaii Five-0" filming that will take place over the weekend.